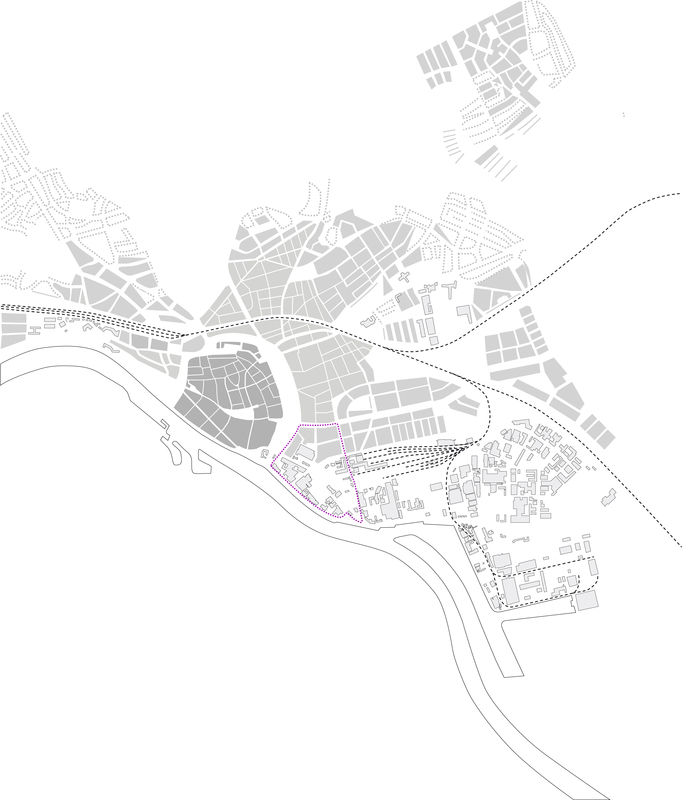 Located on the Rhine, on the periphery of Arnhem’s city centre, to the east of the John Frost Bridge, is a zone that began to develop into an industrial offshoot of the city as early as the eighteenth century. It is a colorful collection of structures, virtually bereft, however, of any significant form of coherence. 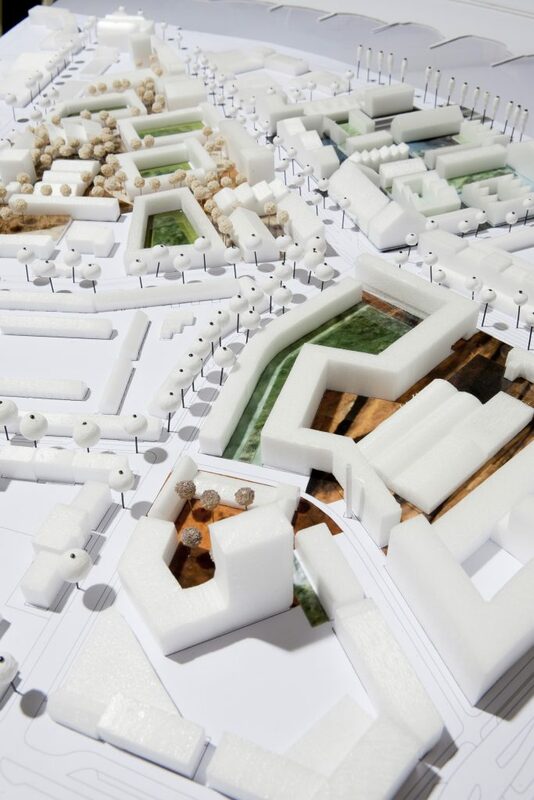 Bureau B+B was asked to draw up a policy document setting out urban design prerequisites (Nota van Randvoorwaarden), a framework on whose basis the municipality would be able to direct the transformation of the area. 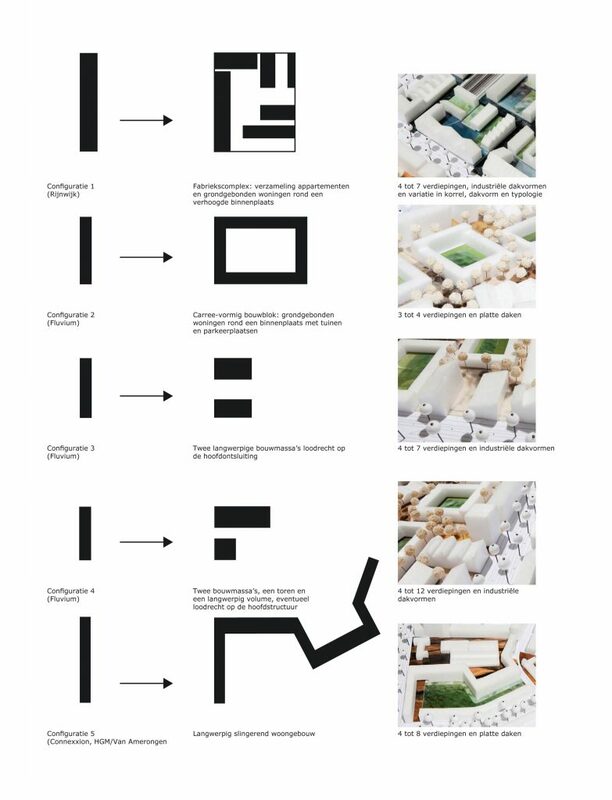 The plan is based on a branding study which concluded that an industrial character combined with an ambiance characterized by entrepreneurship and creative brooding grounds was the best option for the area’s future overall image. In concrete terms, however, studios and studio apartments as yet comprise less than 10 per cent of the program for the new district. In order to ensure that the desired ambiance is ultimately attained, it is essential that the ‘brand’ becomes the leitmotif at all levels of scale, from architecture and the outdoor area to urban design. In spatial terms, the eastern city center is a patchwork of smaller areas, each with its own idiosyncratic, specific ambiance, something that the aforementioned policy document underscores. 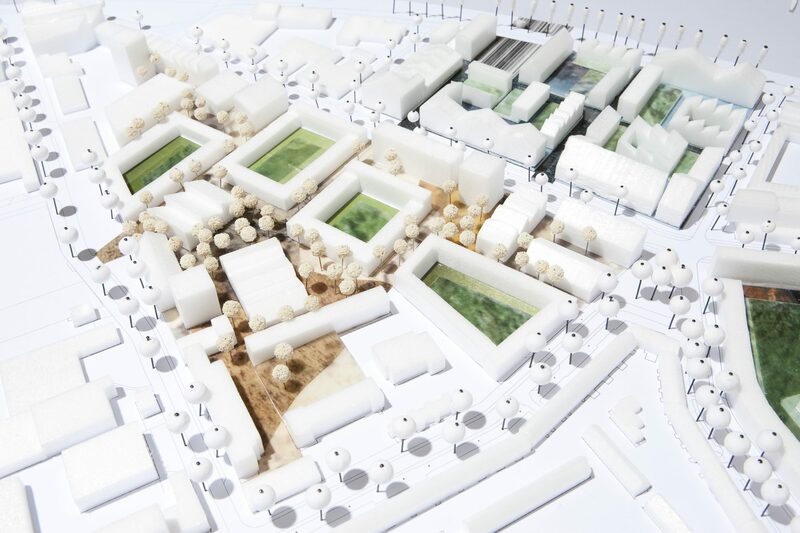 The plan assigns each area its own configuration or collection of development units. The informal outdoor area connects the other areas and lends itself to rambling. 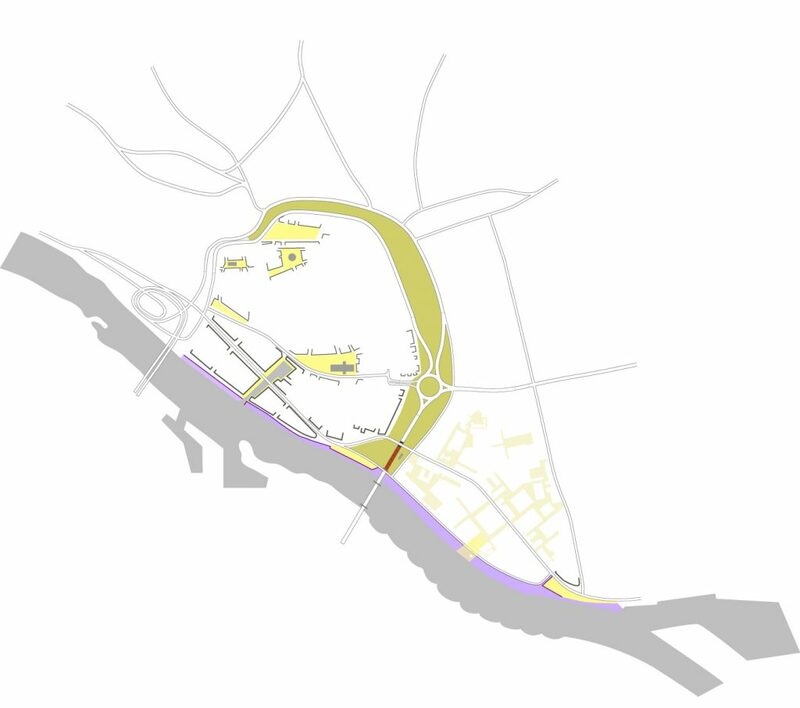 For the Rijnwijk area, situated on the water, the urban design typology of the factory complex was taken as a starting point. 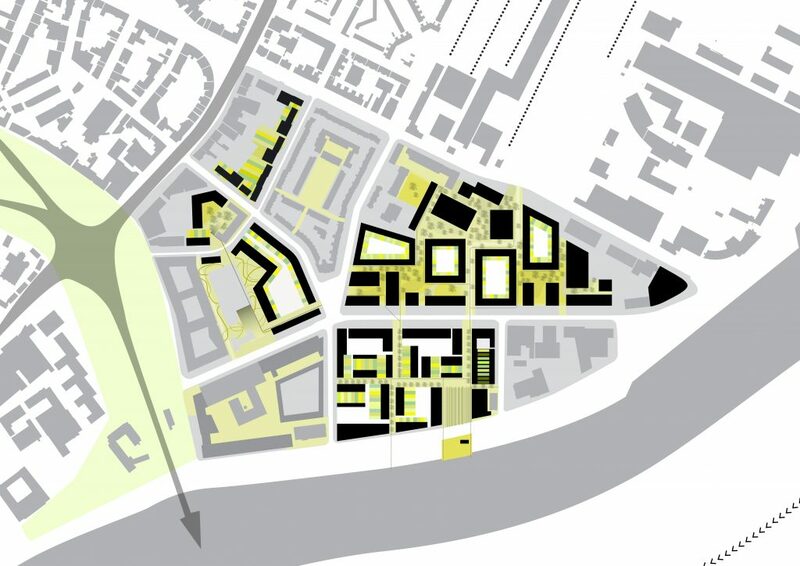 Large volumes alternate with small-scale, fine-meshed development around a common ‘inner courtyard’. The development units have a variety of roof shapes, which refer to old industrial factory buildings. 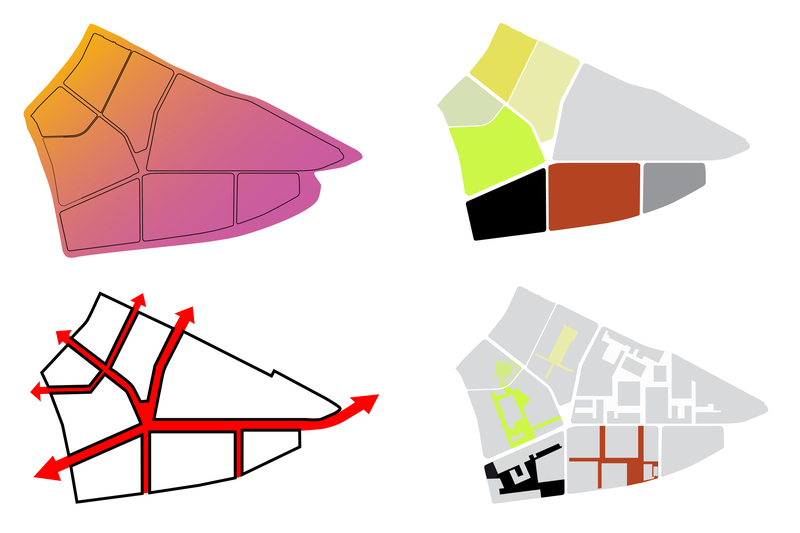 The resulting composition of different configurations and roof shapes forms, like a coulisse, the new skyline of Arnhem aan de Rijn.